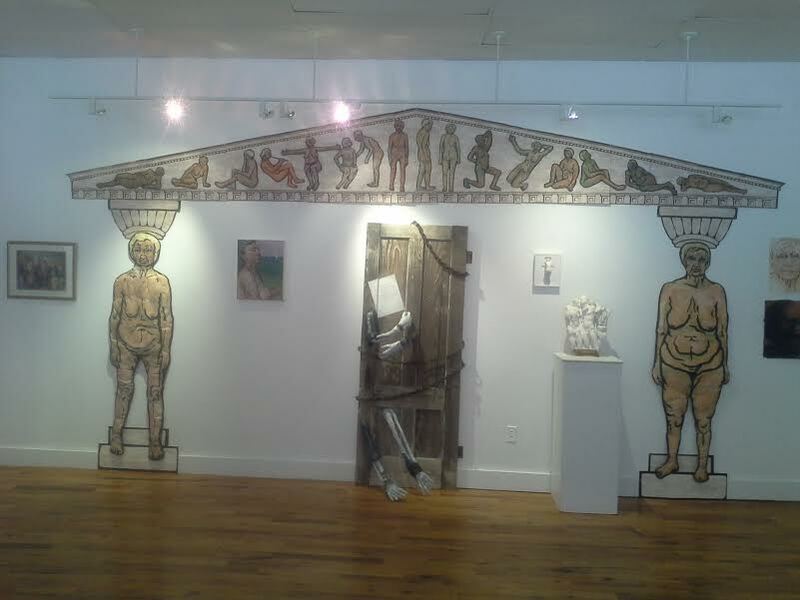 The exhibit features artwork by Pam Blasko, Jim Chillington, Ann Hodgson Cyr, Allan Dudek, Tracey Dinkin, Steve Gerber, Mark Hannon, John Favret, Karen Kalkstein, Michale Kozlowski, John Lawson, Beth Lazar, Karen Loprete, Allison Margo, Janice Mauro, Amy Oestreicher, Hilary Opperman, Lori Petcher, Michael Quirk, Colleen Reilly-Rees, Ann C. Rosebrooks, David Rosenberg, Marianne Schmidt, Ellen Siegel, Jodi Strmiska, Charlie Walsh, Al Coyote Weiner. This exhibit celebrates artists of all ages who have reinvented themselves and transformed their opinions, lifestyle, purpose and art due to changes in work situation, the economy and any developments or realizations that have occurred during the course of their lifetime. Forever Young addresses the aging process, nostalgia for youth and artists’ individual interpretation of the theme inspired by the Bob Dylan song by the same name. 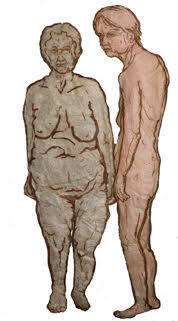 Large paper lithographs by Karen Kalkstein of Stamford depict the effects of time and gravity upon the body. The monumental scale of the pieces in contrast with the ethereal quality of the sheer paper reflects the fleeting nature of youth and the reality of the aging process of the body. Other prints by Karen Kalkstein and Ann Hodgson Cyr celebrate the optimism and playfulness of youth, on contrast. 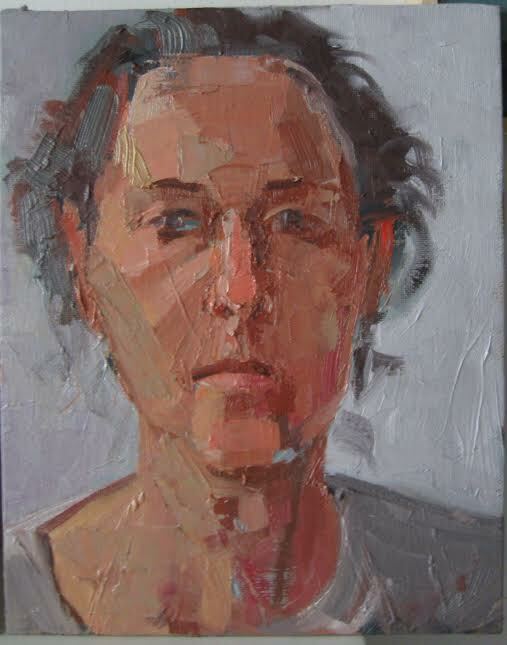 Also on view are portrait studies on canvas by Ellen Siegel. 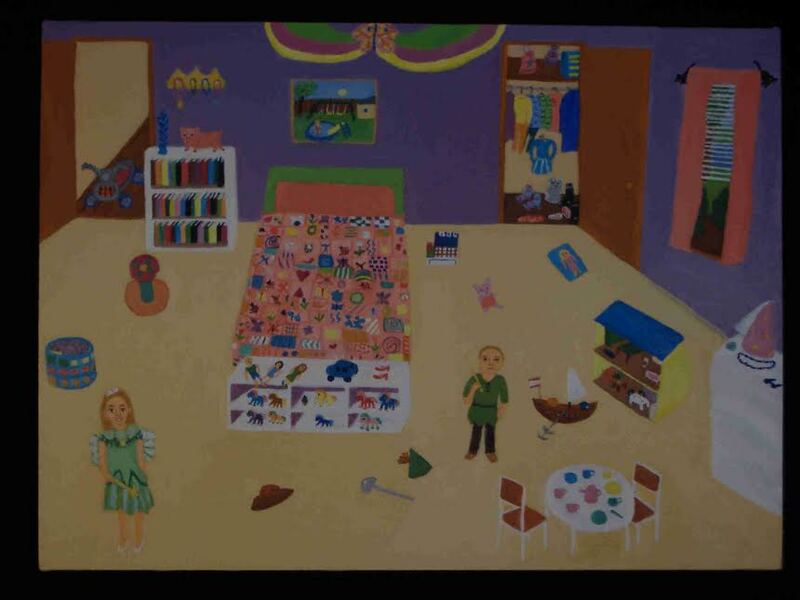 Ellen’s vibrant color and brushstrokes illustrate an artist’s ability to be “young at heart” no matter his or her age. One important aspect of the exhibit is the idea of reinvention of self or the repurposing of objects. 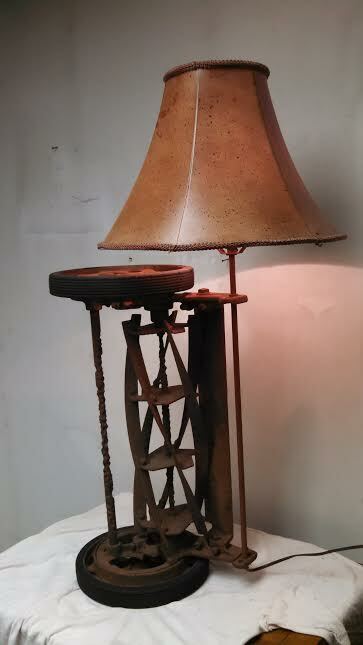 Artist Dave Rosenberg uses recycled, vintage objects such as hubcaps, push-mower blades and test tubes to playfully construct whimsical sculptures that double as fully functional Steampunk lamps. 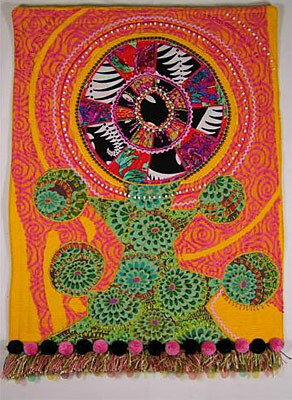 Whimsy also describes the fabric art of Karen Loprete who mixes patterns and textures to create art quilt works like, “Feeling Groovy.” The imagery is reminiscent of the psychedelic mushroom-like images of the 60’s and 70’s. The title of the exhibit was inspired by the song by Bob Dylan. Visitors who attend the opening reception will enjoy the music of blues pianist Mark Naftalin, recent Rock n’ Roll Hall of Famer, who will include a musical medley of Dylan tunes. Curator ad executive director Suzanne Kachmar hopes that viewers will visit the gallery with an intention of slowing down, tuning out and consider a temporary alternative to fast pace, high expectation lifestyle that obliges us to cling to youth and perfection at the cost of healthy minds, bodies, souls and relationships. 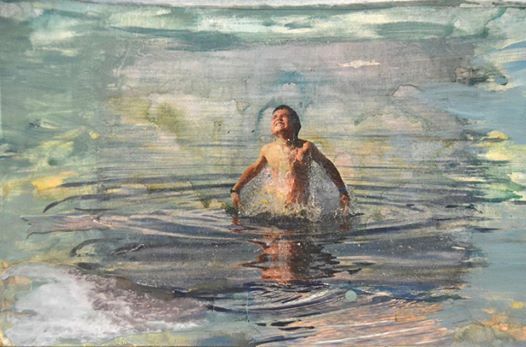 The intention is that the viewer will see beauty, truth and comfort in an aging body, youthful optimism and playfulness at any age. City Lights is a nonprofit, community based art organization located in downtown Bridgeport CT., easily accessible by Metro-North, Port Jeff Ferry, I-95 and the Merrit Parkway via the Route 25 Connector. For more information visit our website at www.citylightsgallery.org or email us at clgallerybpt@gmail.com . On Friday, May 8, the talented visual artist, poet and performance artist Iyaba Ibo Mandingo will present his poetry and a slideshow of his recent artist residency in South Africa that he calls Mayibuye which in Zulu means “bringing back what was lost”. Doors will open at 6:30. Join us as we celebrate his continuing success and artistic growth.